The Gravis combines efficient performance and precision with the highest safety characteristics. 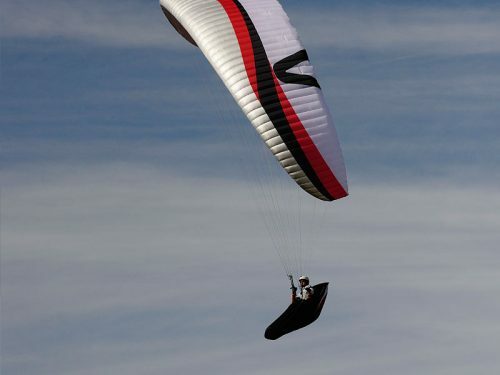 It’s a cross-country glider with a distinctive characteristic in thermic conditions. 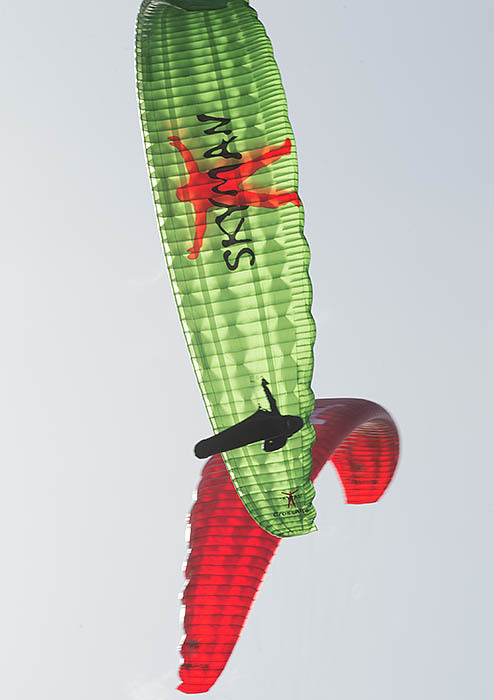 It flies right in the middle of the EN-B category. 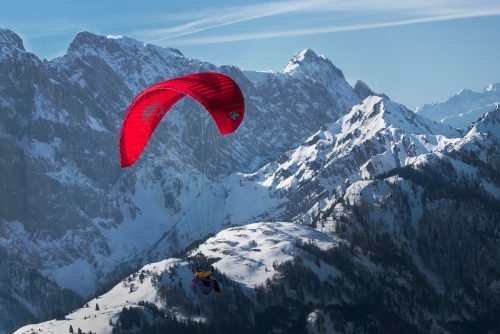 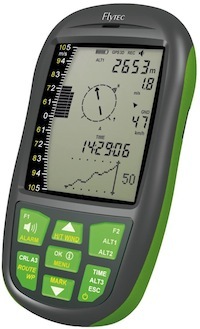 Due to the highest art of technology in construction and material choice, the Gravis is suitable for all cross country- and thermal pilots but also for talented EN-B beginners. 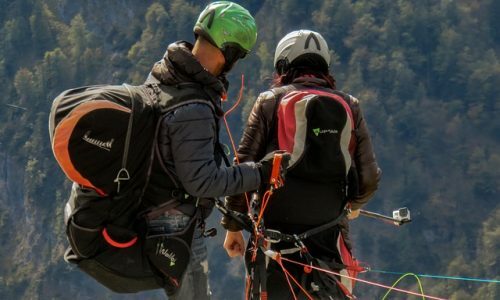 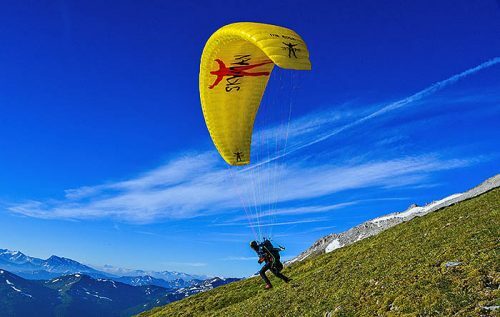 The perfect inflation characteristics of the Gravis, require minimal input to the A-risers, which allow the lightweight canopy to inflate evenly and without the tendency to hang back. 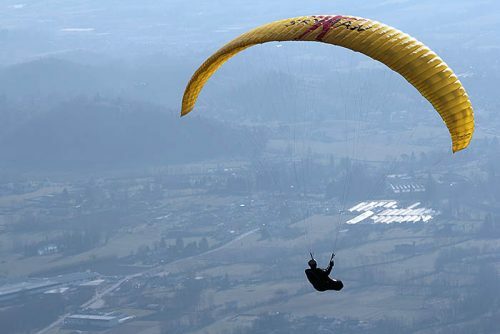 The high passive safety characteristics give you a feeling of safety and confidence in all flight conditions. 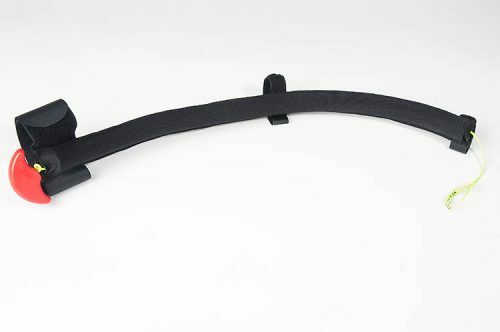 Your steering inputs are transferred precisely and smoothly. 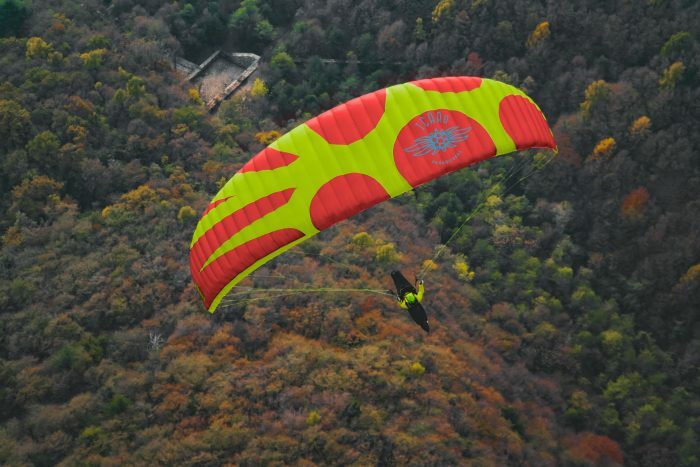 Due to perfectly balanced steering, the Gravis can easily center thermals even when drifting in stronger winds. 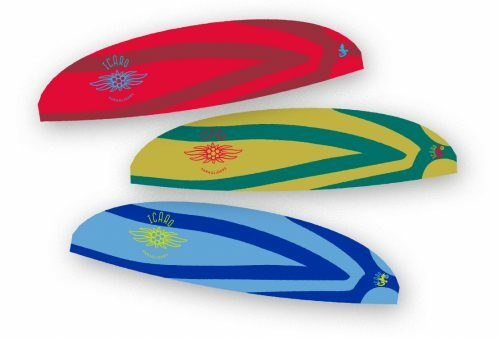 The Gravis has a minimal line set, which provides excellent glide characteristics. 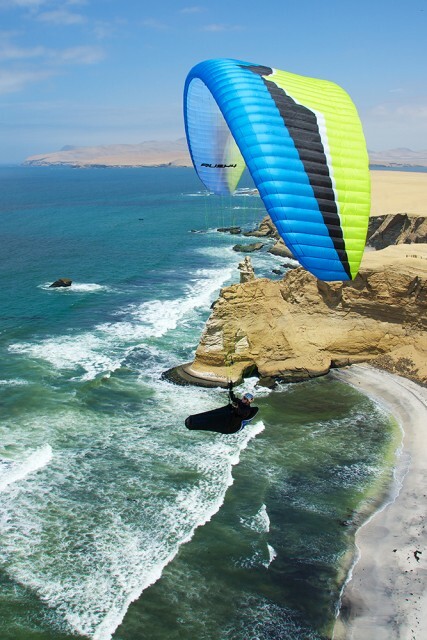 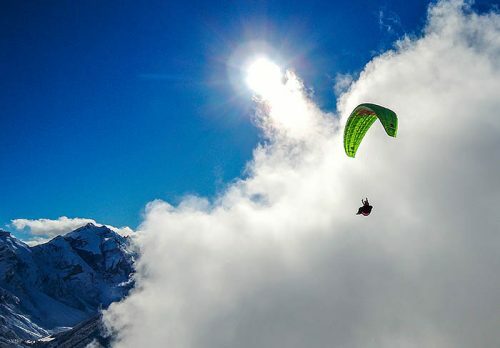 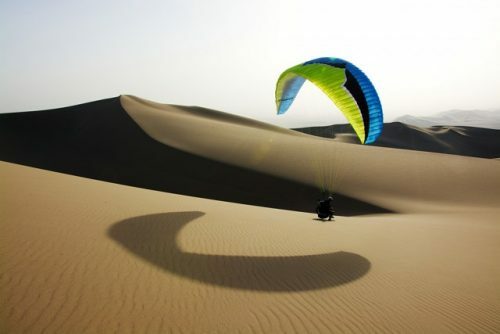 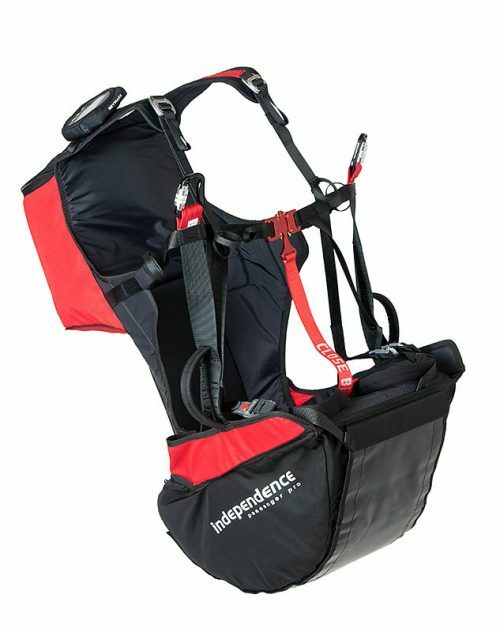 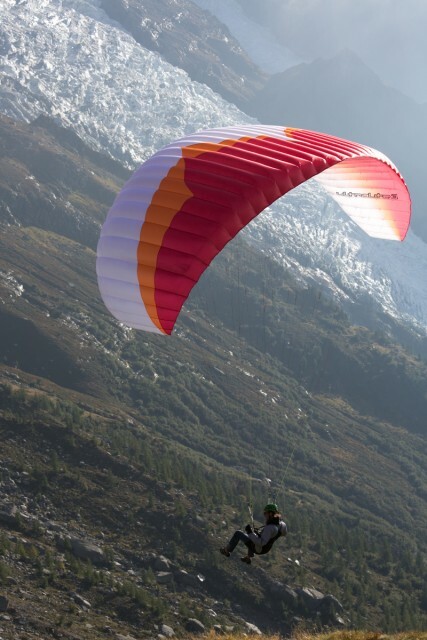 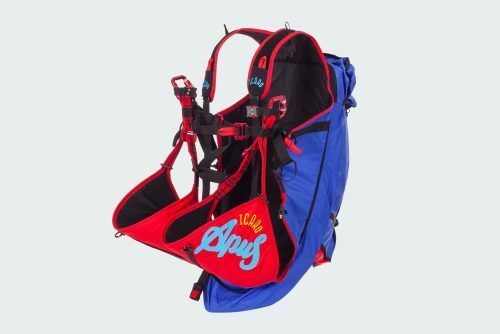 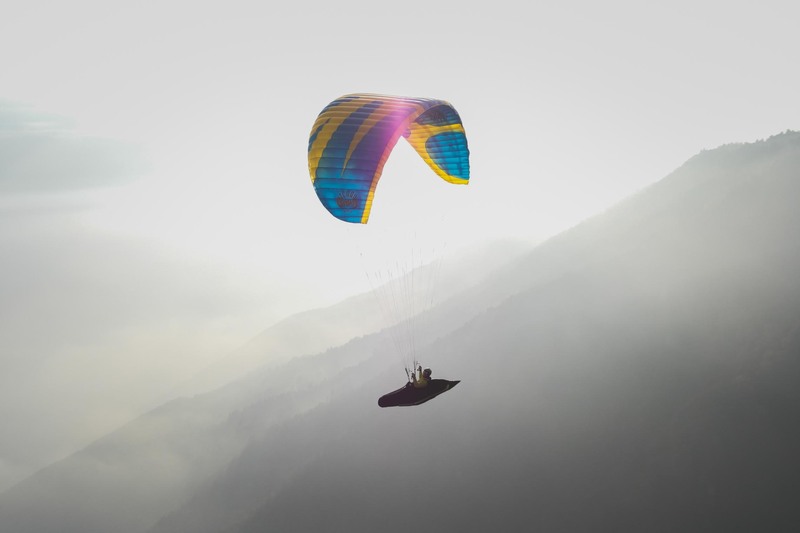 The high-quality canopy material, which is extremely light weight also makes Hike & Fly possible. 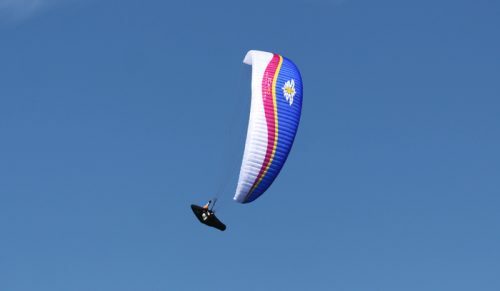 The Gravis performs well on speed bar and glide characteristics are similar to a higher performance category glider. 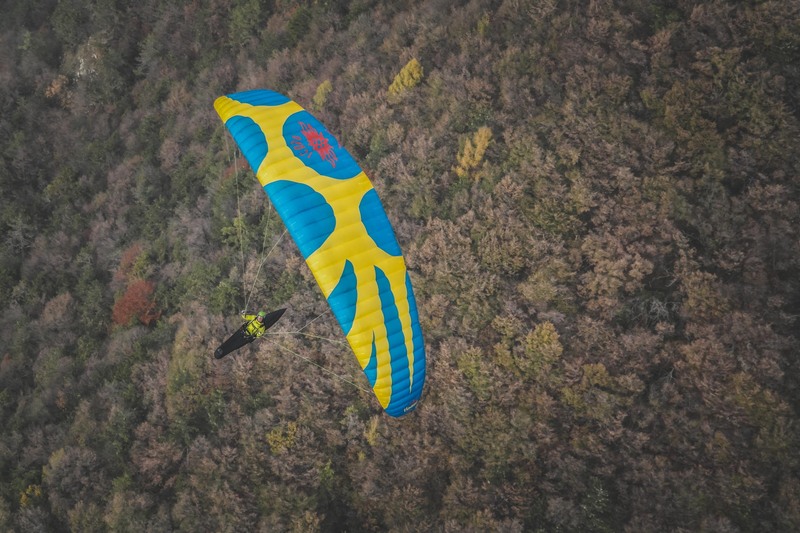 The well-balanced mixture of safety, precision, and performance makes Gravis the ideal companion for stress-free fun, thermal and cross country flights. Like all the gliders of our product range, the design of the Gravis is determined by a unique detail of the Icaro Edelweiss flower – selected to fit every gliders special characteristics and your desire to make a good impression in the sky.